Everyone has been asking for it, so here it is! 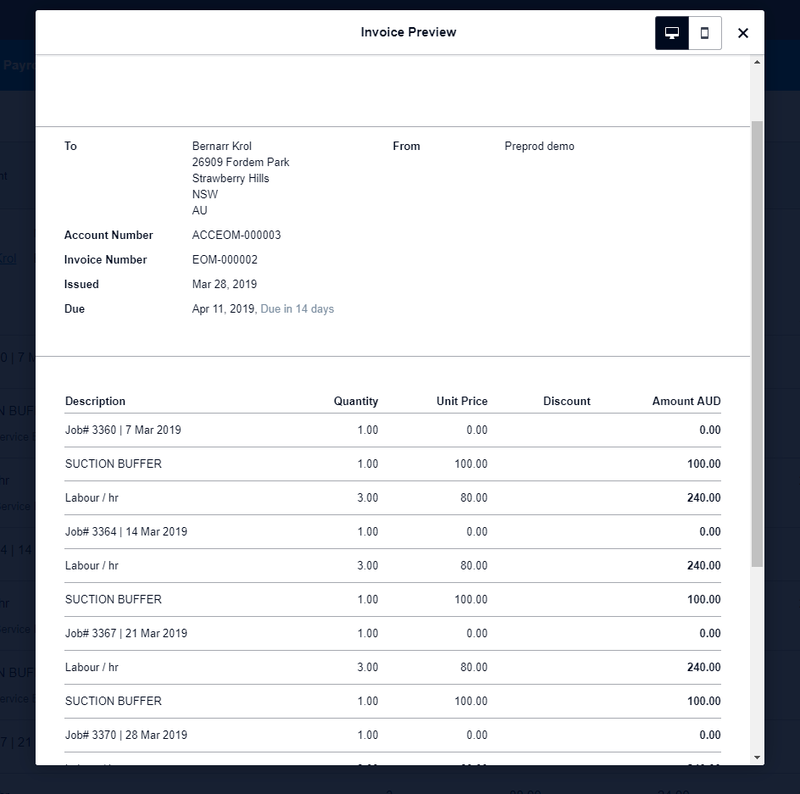 We are very excited to announce the general release of Batch Billing as part of the PoolBox solution. Most likely you do regular service work for these type of customers and they want one invoice for the month's work. In the past, you may have done this by copy typing the information from each of the jobs cards into a single invoice in your financial software (Xero, MYOB or QuickBooks). With Batch Billing, you only add your customer to a class with batch billing turned on. All jobs for customers in the Batch Billing Class will have their invoicing paused, awaiting the end of the month. When you click the “RUN” button on the Batch Billing interface, all Jobs are aggregated and then processed. A single invoice for each customer is created that contains the job details, labour and materials supplied in date order. All of your customer's billing can be processed and posted to the financial system quickly and easily. Additionally, ensure that every line item is at the correct price (ask the team about special pricing). You might want to use Batch Billing for Customers who require invoices in the post or where you have the credit card number on file. Scenario 2 - If you are in the process of a pool construction project or supply an ad-hoc equipment replacement to a regular service customer, you may want to create a custom batch bill to capture the reaching of a milestone, or tracking an additional charge. 3. You have a payment service and credit card vault setup if you want to auto charge your customers stored credit card. 'BUY' feature is coming in April! Coming in early April is the integrated 'BUY' feature for POS. This module will change the way you order, receive and manage stock forever. I want these new features, How do I get it? To ask a question, get a demo or join our early adopter program drop us an email at sales@cirralto.com.au or give us a call on 1300 682 521. We are looking forward to taking you through these great new Batch Billing & Buy Features.